Most of my patients present with persistent lower back pain that’s caused by sustained poor postures. For many, what they are suffering from is called postural syndrome and it is becoming more and more common in today’s quick society. Your lower back is made up of number of supporting structures such as ligaments, tendons, muscles and connective tissues. It is the function of all of these tissues to support the joints of your lower back – ideally with good posture in a neutral position. Maintaining this best length and position warranties the least amount of tension to the connective tissues of your lower back. Now, if you slouch in your chair at work or twist or bend repetitively, you don’t take care of your ideal position. This causes postural syndrome and causes mechanical stress on the supporting structures of your low back. A good way to illustrate this is to bend your finger backwards before you feel the stretch. Now, if you bend even further, or hold the stretch for long enough it would certainly start to hurt – that’s mechanical pressure on the tissue and joints. So, when you are sitting slouched for hours, days, weeks perhaps even years, this mechanical strain amasses and while there is no mechanical damage, these positions become ingrained and thus does the pain connected with them. Individuals with postural syndrome ordinarily have pain and ache free movement in all ranges. They’ll just feel the pain once they embrace a poor position and in the beginning the pose will have to be continued for an extended period. However, in the future it takes less time to experience the pain. You may have been in the same job for years and only now have pain, and you are therefore thinking why. It’s because it takes time for postural tension to amass – finally your tissues get overloaded and may no more withstand the load. The kind of pain you are feeling is typically experienced as a dull ache in the lower back in the beginning, and that, if not dealt with would spread to the mid and upper back sometimes causing neck pain and headaches. In the early stages, pain is alleviated by changing pose, as this helps to remove the pressure off the tissue. Nevertheless, over the years the connective tissue fatigues and the pain is much more tough to solve. 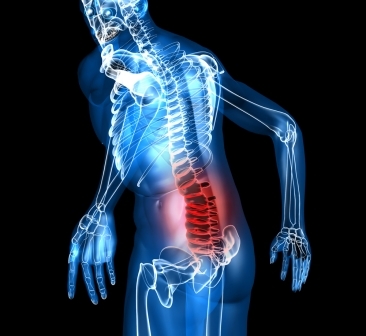 Most sufferers with postural syndrome of the lower back go through no discomfort once their posture is adjusted. However postural correction is hard to attain and requires a good deal of work from both your physiotherapist and you. It is essential to remember that unhealthy position evolves over a number of years and that it does not resolve instantaneously! You should be devoted in performing your workouts and your physio has to be highly skilled in releasing the tight structures which can be now rendering it a hardship on you to maintain a neutral spine in your chosen posture. Contact North Adelaide Physiotherapy for more information or to arrange an assessment.